Security Bank was recently conferred the People Program of the Year (Wellness) Award by the People Management Association of the Philippines for its Total Wellness Program during the 42nd PMAP Awards in Clark Field, Pampanga. The bank holds an annual Health, Wellness and Fitness Fair where employees enjoy free check-ups, healthy food options, and gym membership discounts. The bank’s Total Wellness Program is a series of activities, benefits, and perks that exceed the usual employer practices and addresses all aspects of health: physical fitness, mental and spiritual well-being, developmental, educational, and financial wellness. To ensure physical fitness, the Security Bank head office houses a gym where employees may do their fitness routines or attend after-work Zumba, yoga, and martial arts classes. In addition, the bank holds an annual Health, Wellness and Fitness Fair where employees enjoy free check-ups, healthy food options, and gym membership discounts. 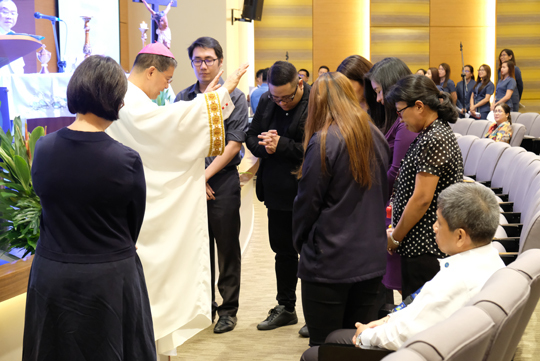 To promote spiritual well-being, the bank holds daily Masses, Advent and Lenten recollections, midweek services, and Bible study groups—all of which employees may choose to join. In addition, a wellness coach is available for personal counseling to nurture employees’ mental and spiritual health. 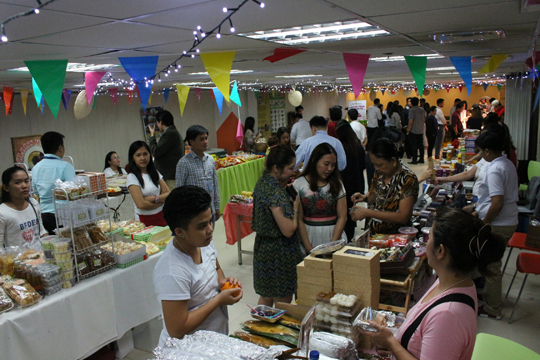 Security Bank holds daily Masses, midweek services, and Bible study groups for employees. “At Security Bank, we believe that caring for our people’s needs helps create a healthy and happy workforce that is prepared for success,” said SBC president and chief executive Alfonso L. Salcedo, Jr.
For developmental, educational, and financial wellness, the bank’s training entity, SBC Academy, offers rigorous skills and capacities training through seminars on leadership, management, sales, and service. Security Bank likewise offers wealth management, financial literacy, investments and insurance to employees, along with a workshop that seeks to prepare employees for retirement financially and emotionally. Security Bank supports its employees and agency personnel by providing emergency financial and medical assistance in times of illness or natural calamities. Living up to its name, Security Bank puts a premium on the safety and security of employees, by regularly communicating traffic and weather bulletins, and hosting of self-defense workshops, disaster response seminars, and fire and earthquake drills. It also makes sure to give back to the communities it serves through the Security Bank Foundation, Inc., its corporate social responsibility arm. Employees volunteer their time and resources through various activities spearheaded by the foundation. Through SBFI, the bank supports education by providing scholarships to deserving students all over the Philippines, some of whom are the children of Security Bank’s employees and agency personnel.